Storytelling is a powerful art. It can elicit delight or fear, laughter or tears. It can entertain, inform and inspire. We would like to hear your personal true story about being Asian or Asian American on video. The VOICES Committee will select the six most compelling storytellers to present their tales at the Summit on Sat., Oct. 27. The winner will take home a $2000 cash prize. Runner-up cash prizes will be given too. The Judges are seeking a great true story told well. Pure and simple. Please note we seek narrative stories, not poetry or spoken word. For inspiration, watch the top stories from the last Summit here. Your video entry must be prepared specifically for this Slam; recordings of prior events may not be submitted. The contest is open to Harvard alumni, students, faculty and staff. By WEDNESDAY, SEPT. 26, 11:59 PM: Post your story as an "unlisted" YouTube video and send the link to voices@haaaa.net by this deadline. Your video should be five minutes (no longer than six). All submissions will be screened by the VOICES Committee. You do not need to be registered for the Summit to enter. For your video, feel free to glance at notes, but tell your story as directly to the camera as possible. At the Slam, you must perform your story without notes or props. 4. statement that you commit to performing at the Summit live on Oct. 27 if you are selected and will be available between 2:30 and 9:30 pm on that day. Oct. 5: Up to six Finalists will be notified by this date; they will be given complimentary registration to the Summit. Finalists must be in Cambridge by noon on Oct. 27 for a runthrough. 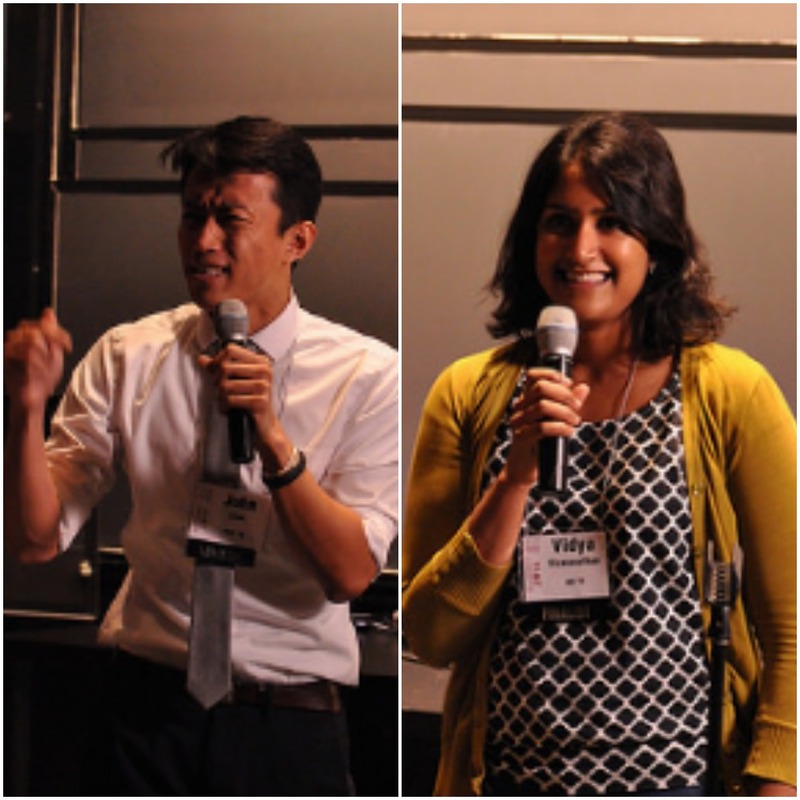 Sat., Oct. 27, 8:00-9:00 pm: The Finals will take place before an audience at the Summit in Harvard’s Science Center. Prizes will be announced at the event. The contest organizers reserve the right to adjust the judging process and prizes. Questions? Please contact voices@haaaa.net.